Regardless of the size of a business, in order to stay ahead of your competitors, it’s important to focus on SEO. Knowledge of SEO growth hacking is necessary to survive the cut-throat competition in the digital world. Search engines are the go-to place for people to ask questions and clear their doubts. So, SEO growth hacking has the potential to make your business immensely profitable and successful. If you own a small business, you need to focus on SEO growth hacking to grow your business and gain the trust of your target audience. When done correctly, SEO growth hacking strategies can help you improve your rankings and increase your conversion rates. While traditional outbound tactics like direct mailing are able to generate conversion rates of 1.7%, SEO can generate conversion rates of 14.6%. Lately, there has been a significant increase in the number of searches that originate from mobile devices. The reason for this is an increase in the number of mobile devices and greater availability of internet worldwide. In 2019, it is expected that the number of smartphone users will reach 4.68 billion. Also, due to the greater use of mobile devices, traffic generated from smartphones and tablets is also increasing. In 2018, 52.2% of all web traffic was generated from mobile devices. Make sure to create cohesive, legible, and relevant content. Ensure that you optimize your visuals so that they take less time to load. Always make sure to create vertical page designs instead of static or horizontal pages. Use touch-friendly buttons and navigation tools. Always add social sharing buttons to your content. These will make it easy for your readers to share your content with their social networks. 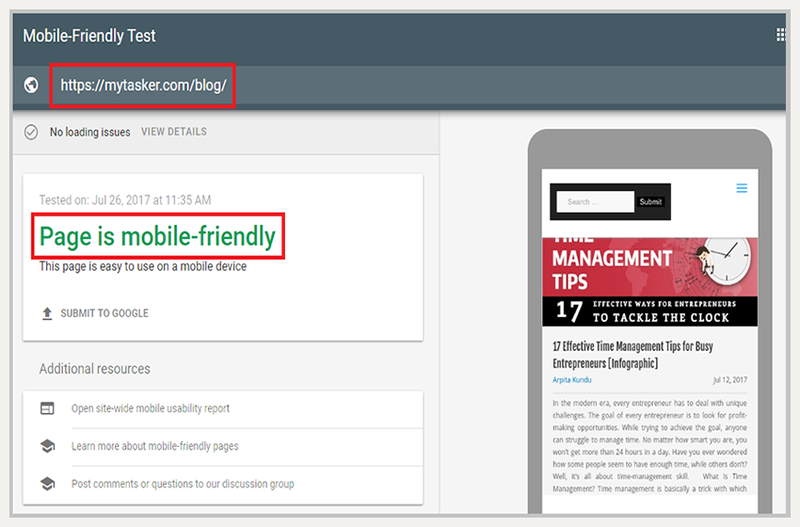 You can use Google’s Mobile-Friendly Test to check if your website is responsive to devices like mobile phones and tablets. The tool will also guide you on how to make your website mobile-responsive. Creating content clusters involves having a main page to act as the pillar page – the center of content with overarching topics. All of the content pages related to that main topic will link back to this pillar page as well as to each other. For example, you could have one pillar page on SEO and create different pieces of content on the various SEO tactics and other related topics. This could include topics on keyword research, page speed optimization, voice search optimization, and more. 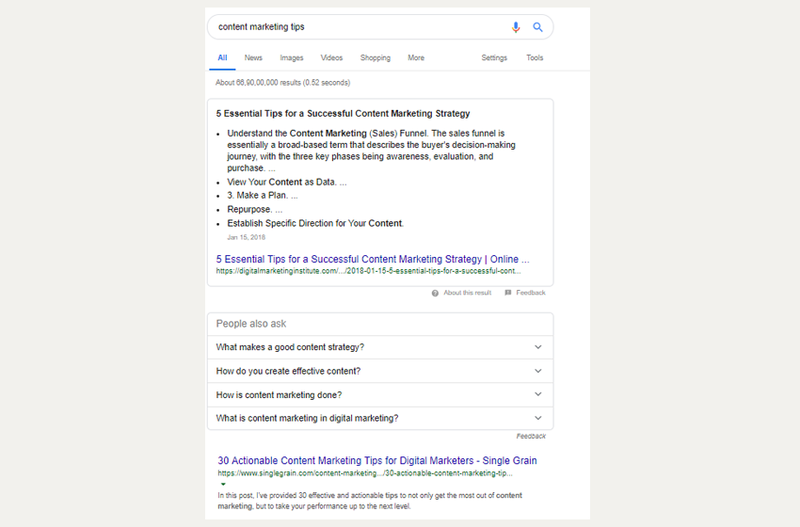 This kind of linking structure sends out signals that help search engines understand that the pillar page is an authority on the topic it covers. And over time, this will help the page gain a better ranking for that topic. 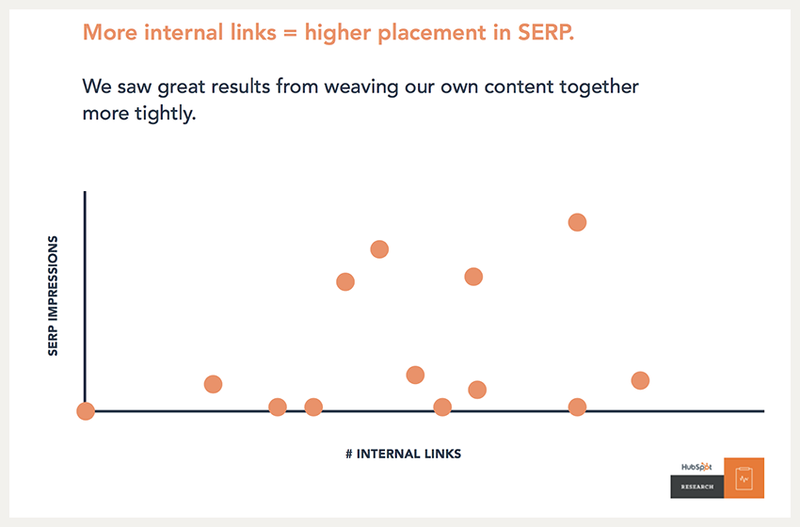 This has been proven by a HubSpot study that experimented with topic clusters. They found that their pages got higher placement in search engine results when they did more interlinking. And an increase in internal links also boosted impressions. You could take this strategy up a notch by creating content clusters based on the keywords for which your competitors are ranking. That way, you’ll have a better chance of getting ahead of them and/or staying ahead. You can use tools like SpyFu to find out which keywords your competitors are ranking for. Just enter their URL and the tool will pull up a report of their organic rankings and top keywords. It will even show you how many clicks they’re getting for those keywords. User experience has a direct impact on your rankings. According to Google’s guidelines, web pages need to be created primarily for users and not for search engines. So, you should aim to provide an excellent user experience to your target audience. Make sure to understand and consider the needs of your potential users when you create a web page for them. This will help you improve the user experience. The way a user behaves on your website helps search engines gauge the credibility of your website. So, to improve the user experience, streamline your website structure. Make sure to create a website that’s easy-to-navigate. This will make sure that your potential customers can move easily and quickly through your website. In addition to optimizing your website’s structure, create relevant content and use engaging visuals. It might not be a cost-effective strategy for a small business but it’s definitely worth the investment. The page load speed of your website can affect your rankings. If your web pages take too long to load, it can annoy people. Put yourself in the shoes of your target audience and imagine their reaction to a web page that loads at a snail-slow speed. This can be frustrating and can drive away your audience, in spite of having great content on your website. So, you need to focus on improving your page load speed. This is a very important SEO growth hack. The faster the loading speed of your website, the higher will be your chances of securing top ranks in search engine results. Google considers the page loading speed to be a vital factor in determining rankings. So, even if you own a small business, you need to make sure that your website has a fast page loading speed. To begin with, you can delete all the unnecessary data and links from your web pages. Secondly, optimize the size of your visuals. These are often responsible for increasing the page loading time and slowing down your web pages. 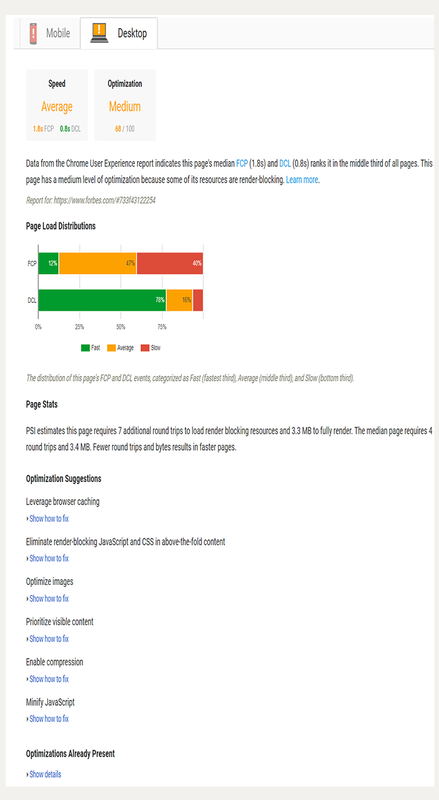 To keep an eye on the loading speed of your webpages, you can use free tools like Google PageSpeed Insights. It will help you monitor the loading speed of your website and will give you feedback on how to improve it further. Featured snippets get more visibility than any other position on the search engine results pages. It’s even more prominent than the top position and is often called the 0 position. You can see proof of this in the screenshot below, where Digital Marketing Institute gets the featured snippet but the top position is Single Grain. It’ll be easier to get featured snippets if you already rank on the first page. So start by focusing your efforts on improving content for which you’re already ranking on the first page. Improve your formatting to make it easier for Google to understand what your content is about. Summarize your points into lists and bullet points, as those are easier to understand for the search engine. Make sure you use h3 tags in your subheads because Google sometimes re-formats those tags into bullet points in featured snippets. If you’re creating new content from scratch, target question queries because they tend to get more featured snippets. For instance, “how” earned 51.11% of paragraph featured snippets and 46.91% of list-based featured snippets. You can use platforms like Answer the Public to discover common questions asked around your target keywords. Even something as small as your meta tags can have a huge impact on your click-through rate and SEO performance. Optimizing your meta titles and descriptions can significantly boost your impressions and traffic, if you do it right. That’s mainly because your meta tags are what searchers see on the search engine results page. So depending on how compelling and helpful they are, people may feel more inclined to click on your link. And the more click-throughs you get, the more you’ll convince Google that your content is relevant to that specific search term. Soon, you’ll climb up in rankings for relevant search results. In fact, Elise Dopson increased her search traffic by 54% just by optimizing her meta tags. Impressions also increased by 57% and her average ranking position jumped up 10 places. It’s not enough to just add keywords in your meta tags for search engines to rank your site. You also need to cater to humans – the actual people who are going to read your meta descriptions and decide whether or not to click on your link based on its relevance. In addition to adding keywords in your meta title and description, you should also consider a few other best practices. First of all, the character limit is a crucial consideration as you cannot risk having an incomplete description displayed in the SERPs. The average meta title is about 55 characters long, while the average meta description contains approximately 164 characters. Your meta tags should be relevant to their respective page content. They should accurately and concisely describe what the page is about so searchers will know whether it’s relevant to their searches. Keep your meta titles short and to the point, accurately summarizing the topic being discussed on the page. Your meta descriptions should be about two sentences long. Typically, the first sentence should lead up to why the topic is important while the second sentence invites people to read the content or click on the link. They should be as descriptive yet as brief as possible. SEO growth hacking can have a significant impact on both how you rank in search results and your conversions. 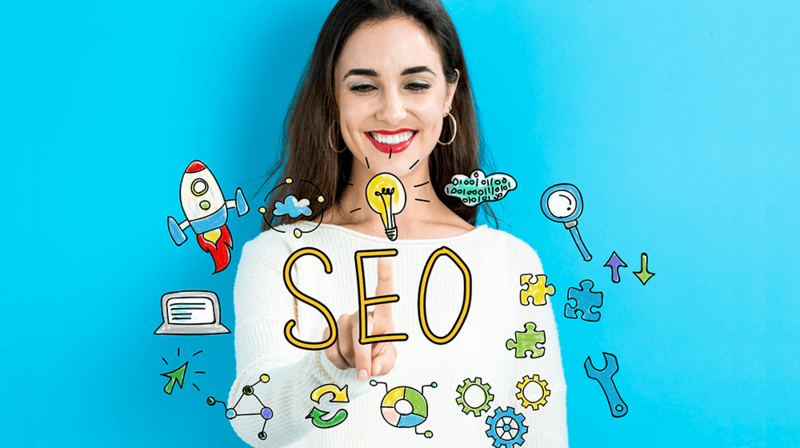 SEO strategies such as using long-tail keywords, creating a mobile-responsive website, and improving your page loading speed can help you immensely. So, leverage them and start taking your small business to new heights. Do you know of any other effective SEO growth hacking strategies? If so, please feel free to share your thoughts in the comments below. In operating your small business, are you pleased with where things stand these days? If your company’s health could be better, what do you intend to try to do to improve things? From improved finances to more recognition for your brand, there are things you need to focus on. With this in mind, what’s the health of your small business? If your company’s finances are not where they need to be, any reason or reasons stand out for this? It may well come down to the fact you’ve been spending too much money in operating your business. Issues such as credit card debt and more can stymie your business growth. When they do, it can leave your business in a precarious position. If you need to do something about your finances, would you apply for a line of credit if you have the opportunity to do so? In getting a line of credit, you can use the funds for any number of things. · Paying down debt – It is not uncommon for small business owners to run up debt over time. As such, too much debt can make it difficult to grow one’s business. In fact, it can put some people out of business. By paying down some of your debt, you get some financial relief. · Bringing on more employees – The added funding can also make it easier to bring on more employees. Unless you are your company’s only employee, you have others helping you out. As such, that help can go a long way in making running your company easier on you. · Buying needed equipment – In running your small business, you need equipment to make a go of it. That said having some more funding allows you to buy new equipment to replace older items. Remember, it is pretty hard to successfully run a business if the equipment is always failing. · Promoting your brand – More funding makes it easier to go about promoting your brand. From marketing to advertising and more, your brand needs to be heard. Use some of your new line of credit to spread the word. No matter what you may use the line of credit for, be sure to put it to good use. Are You in Financial Control? Staying in financial control with your business is not always going to be easy. That said you need to do all you can to make sure your finances do not get out of control. If they do, it can make it awfully difficult to recover over time. With this in mind, be sure your business has the best possible financial health going for it. Yes, you may need some help from outsiders at times to make sure your finances are in the best shape they can be. So, if your business is a little unhealthy, do not hesitate looking to pump some financial life back into it. When you do, you make a big investment in your small business and you. The post What’s the Health of Your Small Business?﻿ appeared first on MyVenturePad.com. As we head further into the digital age, digitization of your company’s procurement processes is becoming not only more accessible, but increasingly necessary. Unfortunately, a lot of businesses have been slow to recognize the benefits of digitization. In the past it has been seen as unrealistic or an unnecessary cost – but implementing digital and automated solutions can actually improve a business’s efficiency and have a very high return. Digital technologies and artificial intelligence can expedite a procurement process, make it more efficient and effective, and help a company keep pace with growing, increasingly digitized market. Looking for more specifics? Here are seven realistic ways digitizing your procurement process is beneficial to your business. New digital technologies make sharing and accessing data in real time easy. With the right tools, procurement teams can collaborate and develop solutions faster and more efficiently, eliminating the confusion caused by miscommunication and human error. This in turn will improve internal coordination for the procurement team and speed up problem solving. A digitized collaborative data platform will intuitively store and allow shared access to data like contracts, records and analytics. This makes collaboration on all levels of the procurement process simpler and smoother. It also makes it more visible – disagreements over data can be quickly solved with accurate, accessible data records. In this day and age, a certain amount of digital efficiency is expected in any buying process. Catalog management and e-procurement software allow companies to digitally capture and process orders from customers, even across different buying systems. This improves the customer’s experience and removes some of the frustration of manual buying processes. Punchout Catalog protocol is a great example of catalog management software that enhances a customer’s experience. For more information about the punchout system, levels 1 and 2, check out this helpful link. Digital technologies and artificial intelligence can help to reduce or even eliminate errors in the procurement process. RPA (robotic process automation) tools, for example, can be used to resolve simple issues like blocked invoices, making the process more efficient and more traceable than manual resolutions. Automating simple, repetitive tasks has been shown to make procurement processes not only faster, but more reliable, by lowering the risk for error and keeping accurate, traceable records of the process. Digitizing the procurement process can help procurement teams make better, smarter decisions, reducing cost and saving time and energy in the long run. Technologies for digitized category management, forecasting or sourcing strategies provide improved data sets for procurement teams to work with. This in turn leads to smarter buying and better cost effectiveness. As a more specific example, digitization can take the guesswork out of buying parts for a prototype development by giving engineers access to a selection of pre-approved parts and keeping track of their purchases. Digitization can make your procurement process more transparent, allowing for clearer oversight. Procurement costs and records can all be tracked in real time with the right technologies. With the whole process more visible and more traceable than manual processes, there is less room for confusion or disagreement. Advanced procurement solutions can also be acclimated to certain guidelines or rules, so there is no need to worry about poor compliance or corner-cutting. Digital technologies, like a digital reporting tool, can improve the way a procurement team collects and analyzes data. In a manual procurement process data is spread across a variety of sources and databases, but a digitized system will coordinate data and ensure that it all matches up efficiently. Digital data tools can also target and eliminate errors, making it easier to bring together data from various sources and ensuring accuracy. A lot of companies have been slow to digitize their procurement process because it does not seem like as important of an investment as other modern tech solutions. Digitization may seem like an unnecessary cost for a limited return. In reality, if digital solutions are properly implemented, digitization of the procurement process should result in a very high return on investment, meaning that digital technologies and automated solutions will be well worth the investment cost in the long run. Error reduction, increased speed and improved communications help to save money in the procurement process as well as adding to the overall efficiency of your business. Return on investment will depend on a company’s location, market, and the technologies they invest in, but in general, you can expect a high return in a relatively short amount of time by investing in technologies to digitalize your business’s procurement process. Digitization and digital transformation are popular phrases in the business world today, but a lot of companies still don’t understand how digitization really works, and how much it can benefit procurement processes. Digitizing your company’s procurement process will help your business run faster and more efficiently. These technologies are not as hard to implement as some people may think. They are constantly improving and modernizing with the aim to become more and more accessible. We highly recommend digitizing your procurement process now, to give your business a necessary competitive edge. The post How Digitizing Your Procurement Process Can Help Your Business Become More Efficient appeared first on MyVenturePad.com. The first thing you need to do is to establish your identity in the digital marketing industry. Creating a brand will be your representation and identity in the business. It’s similar to starting your own company. Your goal is to be known by a lot of people and hire you to provide services for them to keep the business going. Your website will be your portfolio. This is crucial as it will establish your credibility. To keep the business rolling, you have to know which clients and companies might need your service. You have to scan the types of industry or niches that you want to work with. For example, if there’s a high demand for people looking for ventilation services, you might want to tap similar businesses. You should generate HVAC leads – ippeileads.com is an example of a lead generation company that can do this – and funnel down clients that are most likely to avail of the service. You have to explore the areas and businesses that need your service. Then, you can narrow down the potential clients that you can contact to give them information about your lead generation business. Create social media accounts – You have to reach a broader scope of an audience so that you’ll get higher chances of acquiring potential clients. Social media is a great platform to advertise your business since users are diverse and it’s becoming a one-stop shop for almost everything. Build relationships – It’s also essential to build personal connections to make your lead generation business a success. Inform your family, friends, and colleagues that you’re starting a new business venture. They might be needing your services in the future or they can refer you to their acquaintances. You might be impressed with the power of word-of-mouth advertising. Do content marketing – Content marketing is a useful tool to market any product or business. Clients are highly influenced if they can read some information about your services, whether the advantages of hiring a lead generation specialist or what makes it useful for every business. You can either integrate this on your website or ask other people to publish it for you. Initially, your startup business will only require you to work for a couple of projects. However, once there is an influx of potential projects for you to work on, you might be needing extra people working with you. With that, you have to build a team that will strengthen your business. Depending on the volume of the work, it’s up to you how many team members you want to establish. You might know other lead generation specialists personally, or you can put up a job posting in freelancing groups online. When you start your lead generation business, your goal is to generate potential clients. To do that, you have to make sure that your website is easily seen by users whenever they search for a lead generation specialist. The best strategy is to boost your site’s SEO or search engine optimization by using the right keywords. You have to work on your website closely so it will rank high in the search list. Moreover, utilizing paid search ads is an effective way of getting your website on top of the search engine list. This way, your site can be easily seen if a potential client wants to avail of your services. A lead generation business is a high income generating industry. To start one, you have to make your business known in the digital marketing world by establishing your branding, and reaching an audience to get more chances of acquiring potential clients. Also, you have to make sure that your website performs well by boosting its SEO. This way, you’ll be more visible to the potential clients that might be availing your services. The post Tips To Setup Your Own Digital Marketing Lead Generation Business appeared first on MyVenturePad.com. When you think of gluten-free food, you probably don’t picture delicious baked goods. 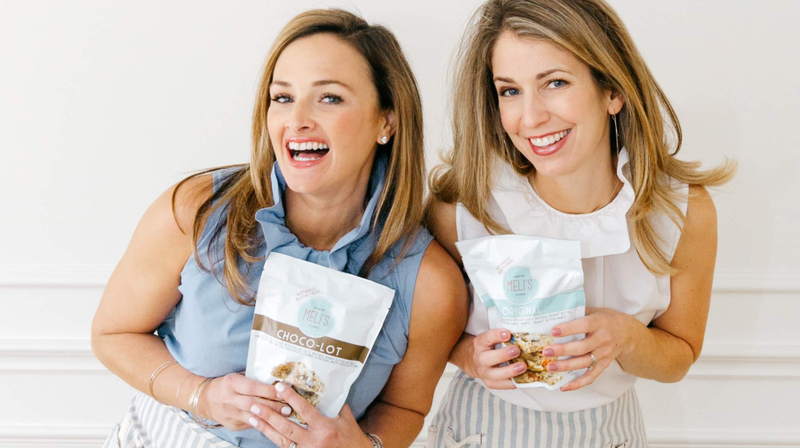 So Melissa Blue and Melissa Mehall founded Meli’s Monster Cookies to show that gluten-free baked goods could also be delicious. 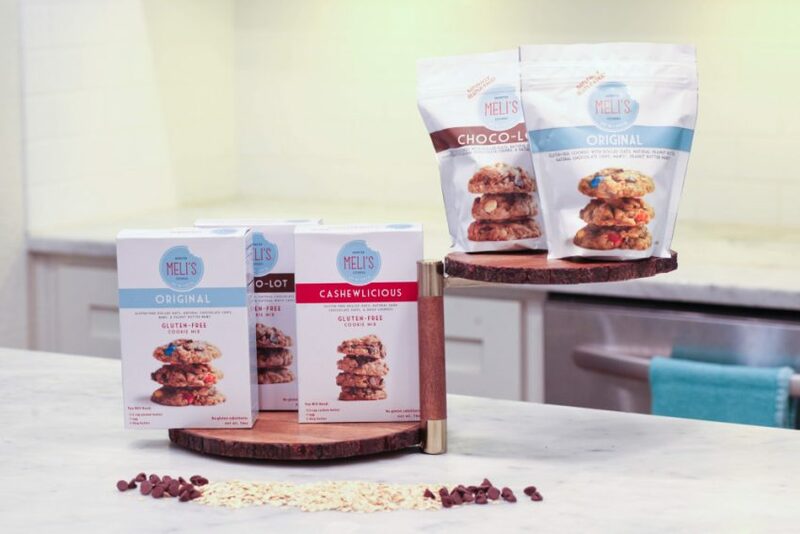 The company uses an old family recipe that is gluten free “by accident.” So it tastes delicious and is perfect for those with food sensitivities. Here’s more information about the company for this week’s Small Business Spotlight. 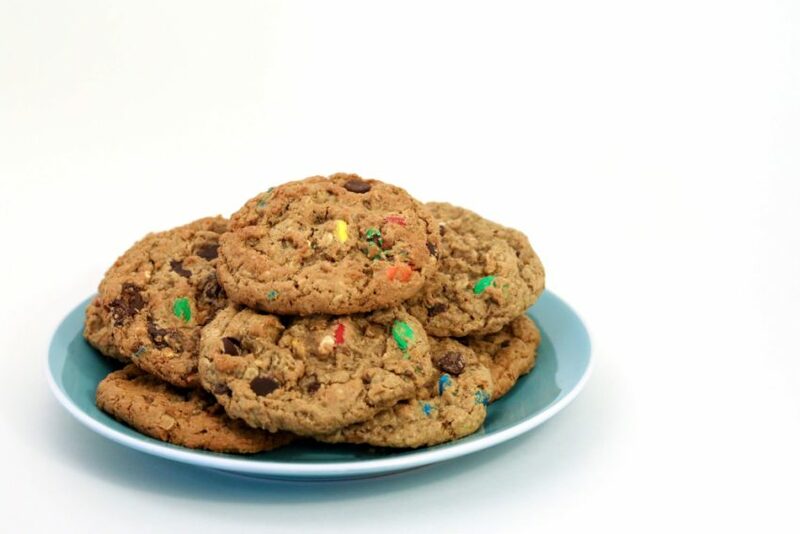 Sells specialty cookies and mixes. Offering gluten free desserts that actually taste good. As a way to help a family member. The two founders have been best friends for over 30 years. Their “aha” moment came when a family member developed a gluten intolerance and was having trouble finding tasty treats. Connecting with a major retailer. Creating new products and marketing them. Marie Kondo’s name is on everyone’s lips these days. Thanks to her book The Lifechanging Art of Tidying Up: The Japanese Art of Decluttering and Organizing and popular show on Netflix, Goodwill centers all over the country are overflowing with donations as housecleaning becomes a national phenomenon. 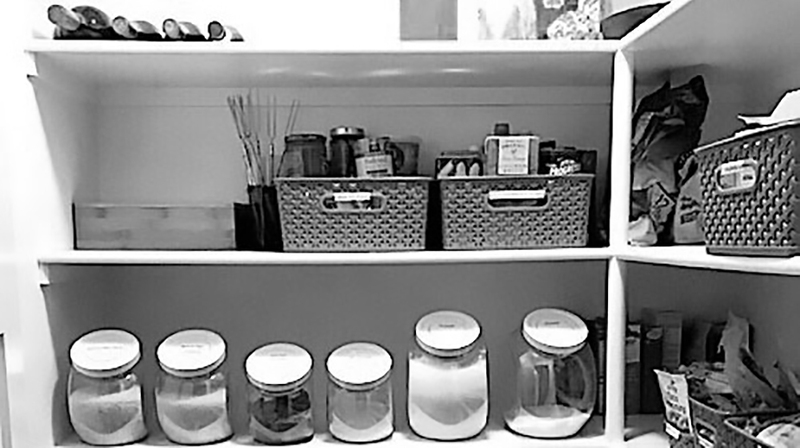 But although my pantry now looks spectacular, Kondo’s wisdom isn’t just for spring cleaning the home; there’s much we can take from her Konmari method of tidying up to help us run businesses of all sizes better. Before she starts tidying, Kondo begins by thanking every new house for providing a home and shelter to its inhabitants. This is a moment of silence in which she “communes” with a house. This action sets a tone that establishes the value of even the messiest house and resets the relationship its inhabitants have with it. For small businesses, it’s also important to take time to reset. Frustration with coworkers? Take time to think of some reasons you’re thankful they’re on your team. Gratitude is an easy way to bring things back into perspective. While some work relationships require a full-scale reboot, others are fixable if you look deep enough for new ideas and inspiration. The premise of the Konmari method is that we should keep only that possessions that “spark joy.” For your business, it’s important to have the same level of focus; but instead of keeping the things that spark joy, you keep the things (or activities) that drive business results. At small businesses, where every minute counts and every project can be a make-or-break deal, focus is especially important. Kondo followers understand that it’s important to not allow yourself to be pulled in a million directions or to fill your calendar with clutter. Retain focus on what’s important — what sparks “business joy” — and you will be primed to reach your goals. Kondo believes the best way to find out what we really need is to get rid of what we don’t. This advice works great in your closet, but its metaphorical lesson is a great one to apply at work too. Are there items in your office you’re holding onto for no reason? Employees who aren’t bought into the vision? Systems that overlap? Streamline your business to help it run more efficiently, identify areas that need improvement, and set up your business for growth. One of the things Marie Kondo is best known for is the way she folds and organizes t-shirts. This level of organizational rigor works well for businesses too. It’s easy for a company — especially a small one where everyone wears lots of hats — to get overwhelmed by “stuff,” whether it’s physical files, sales leads, or customer data. Simple things like file structures and common naming conventions make a huge difference. You’ll also want to use a CRM like Salesforce Essentials to manage your customer information and connect all your systems on one platform. One piece of advice for which Kondo has received negative feedback was her suggestion that you should get rid of books that you aren’t going to read or reread. For most book lovers that’s blasphemy! Many of us love a cozy room full of books, and the feeling of being transported back in time when we can pull our copy of The Great Gatsby off of the shelf and see notes from high school in the margins. However, when Kondo was pushed by journalists for a comment, she suggested that everyone should just “do what’s right for you.” And that’s always great advice. While leaders are right to examine their business from all angles, there’s no need to fix something that’s not broken. Do what’s right for the business. Marie Kondo has inspired me in so many ways. Not only is my pantry neat and organized, but her wisdom sparks joy for me at the office too. I hope these Konmari lessons will also inspire businesses of all sizes to find ways to learn from her. Customer service. That’s the goose that lays the golden eggs. Every business leader who is worth his/her salt knows that fact all too well. That is why companies go out of their way to ensure that customer relation management is given precedence. The advances in technology have given rise to automation tooling in regard to customer relations. One of the best known and widely used customer relations tools is Microsoft Dynamics. This software is an upgrade on the earlier iterations. However, Microsoft Dynamics is not all about customer relations. Microsoft Dynamics has two wings: enterprise resource planning (ERP) and customer relationship management (CRM). Whilst CRM focuses on customer engagement, ERP lays emphasis on the business itself. The first step to using a product is to have a full understanding as to what the product entails, its limitations if any, and its capacity. Microsoft Dynamics is part of Microsoft Business Solutions. Dynamics can be combined with a variety of Microsoft services from Office 365 to Outlook. Dynamics provides a wide range of services that can be beneficial for small, medium, and large enterprises. ERP allows companies to prepare for challenges before they become recurring problems for business operations. By affording companies the opportunity to focus on the data instead of operations, ERP offers the prime way to organize business processes. Because Microsoft Dynamics handles both CRM and ERP, it can allow for better productivity and efficiency of an organization both internally and externally. With its recent purchase of LinkedIn, Microsoft Dynamics seems poised to take the customer engagement industry by storm. Whether you own Microsoft Dynamics software or you are ruminating over owning one, here are three things you can do to ensure you get the best out of Microsoft Dynamics. As an organization, you need to have clear goals on what exactly you’ll need Microsoft Dynamics for. Microsoft has partner programs who work in tandem with Microsoft to provide auxiliary and complementary services. Reselling Partner: This is ideal for Microsoft partners who are not ready to immediately commit to an integrated marketing solution. A referring partner will register a lead, and the marketing automation agency will take up the lead and qualify and work with the lead through the sales process. Referring Partner: This works for Microsoft partners who are ready to commit to marketing automation. In this case, the lead is registered and taken through the sales process. The referring partner is billed, and the referring partner can work with the lead to agree on charges between them. So find a good Microsoft partner program that offers these services and more, and your company will be primed to get the best out of Microsoft Dynamics. The word behemoth is not to be used lightly in business circles but HP deserves every ounce of it. As a true behemoth, HP handles 600 million technical customer support contacts per year. Using Microsoft Dynamics AI solution, HP built a virtual agent that helps handle the large volume of customers. Marketing is an intricate field; it requires experience, expertise, and even more crucially, an ability to adapt to the mercurial behavior of consumers. That is why a good marketer is one that has the knack to stay on top of consumers’ desires and adapt accordingly. Microsoft Dynamics provides both the platform and the data for incisive business decisions. The post How to Get the Most out of Microsoft Dynamics appeared first on MyVenturePad.com. The internet is home to many confidential documents, and there are no signs of this changing. Confidential information travels from device-to-device, and the recipients are expecting to receive accurate information. With this said, it is possible for you to receive a document that was digitally intercepted and altered. If this occurs, you could potentially be signing a document and agreeing to terms that do not reflect the real deal. Even though the client did not change the record, this circumstance may break the trust once established for the deal and talks can fall through. Fortunately, software for digital signage provides users with certificates that protect documents in multiple ways. Traditional signatures have been useful as a means of authentication for many years. Signatures can be changed, and it is sometimes difficult to determine if the desired party is the one who entered the agreement. Digital signatures help certify documents and ensure that the proper parties initiate a deal. With encryption technology, something referred to as a one-way hash generates once you sign a document. Once returned to the intended party, your signature’s contents can be analyzed to ensure all of the information reflects your consent. Validation is possible with both public and private keys associated with these digital certificates. A server makes contact once digital signatures take place and generate these keys. A private key is encrypted and not responsible for decryption in the event of checking the validity of a signature. If you or the other party wishes to validate the signature, the public key enables this endeavor. This public key is also used to verify the contents of the signature as well as any other accompanying data. Individual institutions such as colleges have a plethora of data which is exchanged rapidly throughout the school year. Students must sign documents about financial aid if they need more assistance for example. For children who are still not in college, parents are often required to sign permission slips for many reasons. Your child may have forgotten to give you the permission slip for a field trip, and they finally bring this to your attention when it is too late. Forward-thinking schools will soon begin providing parents with the option to sign these documents remotely and securely. Students who find themselves in a pinch may opt to forge signatures to join friends on field trips. With digital signatures, school faculties can ensure parents are the party who signed these documents. The post Digital Signatures and Encryption appeared first on MyVenturePad.com.